Wooden Boat Restoration, Repair and Maintainence. 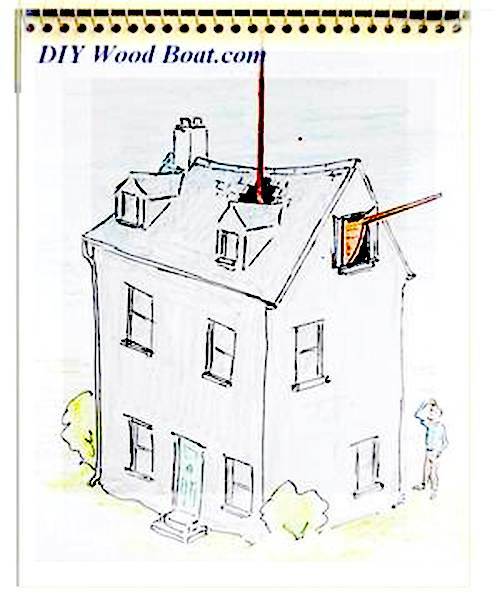 Notes on DIY Wooden Boat Restoration. A Wooden Boat Restoration project is perhaps the cheapest way to own a boat which will draw admiring glances wherever you go. And one, which will fill you with enormous pride and a sense of achievement. It is so much easier to feel a passionate affinity with a solid natural wood hull than one made of GRP, steel or aluminium. However, this will not be a quick fix exercise. Time, care and dedication are required if you really want a beautiful boat that floats. Remember that you will need to remain solvent if you are to enjoy the fruits of your work. The costs will rise exponentially with the size of the boat, not just for the rebuilding but also for maintaining her as well as for mooring charges. Therefore, your project needs to be scaled to your pocket, as well as your dreams. Before even looking for a boat, you need to get a clear notion in your head as to what your requirements are. It is so easy to allow the imagination to run wild when looking around for a Wooden boat restoration project as there are some wonderful old wooden boats just begging to be restored. 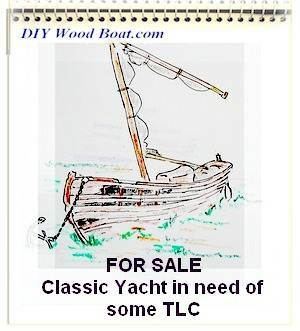 Looking for a Boat or Bits or have any to sell. Visit The Exchange. Unless you already have a boat which, you want to renovate you're first task will be to find a suitable wooden boat restoration project. You will find used boats advertised in national boating magazines. However there are many gems which are not widely advertised. Many boat yards and marinas will have project boats worth looking at. While searching might be time consuming it can also be fun and instructive. Occasionally yards and marinas will repossess boats to recoup unpaid fees, these they often sell off cheaply, just to cover their costs. Also there are auctions of repossessed boat which are worth checking out. You will find partly renovated boats, whose owners have started to rebuild but then for various reasons grown tired of the project. With these, you need to reassure your self wth an initial survey that any work done has been done properly. It is worth considering and taking note of why they have been abandoned. 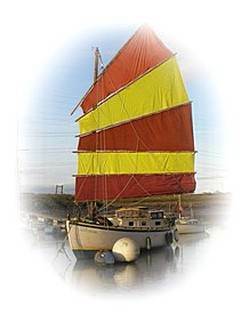 Make sure that this wooden boat restoration project is right for you. Don’t underestimate the amount of work and the time which, will be needed to finish up with a restored boat. Don’t be put off if she has a stupid name. It is OK to rename a boat as long as you do the Re-naming Ceremony correctly. 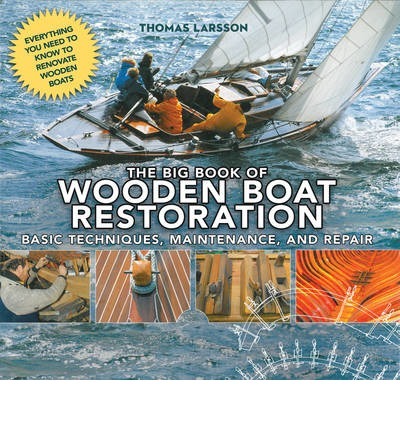 Where to do the Wooden Boat Restoration? 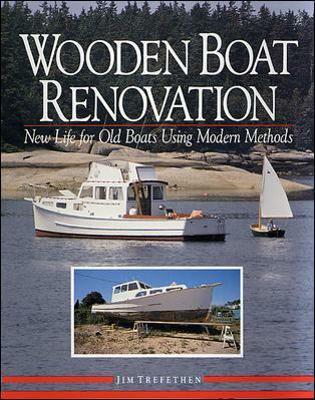 Next consider where you are going to do that wooden boat restoration. If you are planning to use your back yard, will you have enough room to work on her? Will you be able to get her out when she is finished? If using your back yard consider the neighbours, might they object when that that fifty foot super yacht towers above the fence? Then consider how you are going to get it home. Transportation for a large boat does not come cheap. Before buying a boat that is in a boat yard or a marina, check with the yard owners that they will allow you do the work there. These days it is a sad fact that most yards and marinas prefer shiny white plastic. They consider wooden boat restoration projects as looking untidy. There are still a few boat yards were self builders can rent enough hard-standing to work but they are becoming rare. Wooden boat restoration is only viable when sufficient of the wood is still sound. How much you regard as sufficient depends on how much time and effort you are prepared to put in. Professional boat surveyors don’t come cheap. Their charges will not be based on the price you pay for the boat. It is unlikely that a neglected boat will already have a recent survey report. Beware of a report that is more than a few months old. Beware of love at first sight, no matter how pretty her sheer give her an initial survey your self, then go home and have a good think. If you do decide to buy her and are buying something cheap it will probably be more economic to do the survey yourself. If the boat is in a marina or yard it is always worth asking around other boat owners in the yard if they know any thing about her. A little bit of local knowledge or even gossip could come in useful. Restoring a classic boat to its original specifications can greatly increase its value. Traditionally built carvel wooden boats are complex structures so, problems are not always evident until she is opened up. Sometimes it is difficult to know how much to rip out and where to stop. However, any boat that is worth saving can be. And while the professional may have the advantage of experience and expertise, the boat owner has his/her own innate common sense as well as pride of ownership on their side. And there is no wooden boat restoration which cannot be achieved with some patience and care. The first consideration in any wooden boat restoration project should be to the integrity of the hull. The main advantage when repairing carvel planking is that individual planks can be removed replaced or repaired without disturbing adjacent planks. However, as with any wooden boat restoration there is much that can be achieved by paying attention to the fastenings. And a proper caulking job can cure many ills. Replacing individual lapstrake/clinker planks is not as simple as with carvel because of the overlapping nature of this construction method. However, it is none the less possible even for the amateur. And of course there is much that can be done to restore her integrity by anyone with a modicum of common sense. The replacement of the fastenings, can pull a boat backing shape and tighten the seams. And there are many minor repairs such as graving in new wood (a ‘dutchman’) which, if I was able to do it, you can too. And it is fairly easy to repair plywood. The epoxies you are most likely to use come in a pack containing separate resin and hardener.These must be mixed immediately prior to use. My own project is nearing completion. Click the link above to have a look. I have a 1940 Trumpy that has a few rotten bilge stringers. What is the best way to replace them? Are these also called intercoatals?